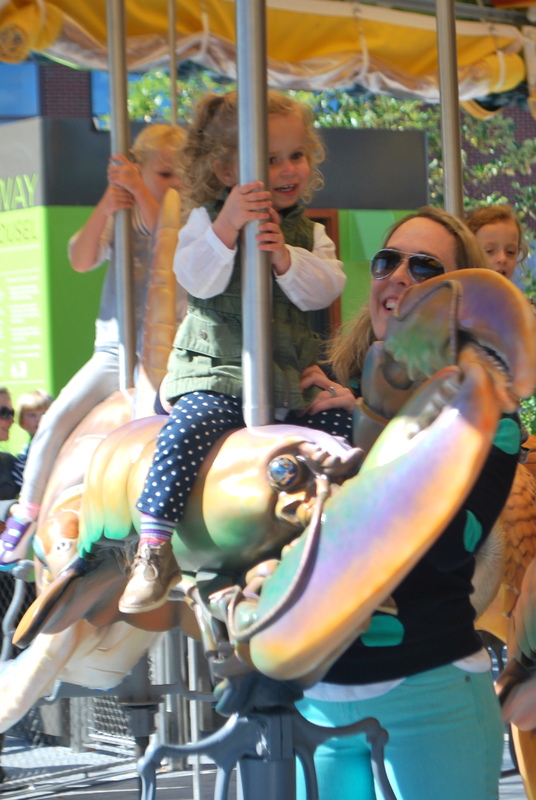 Have you heard of the new Greenway Carousel in Boston? 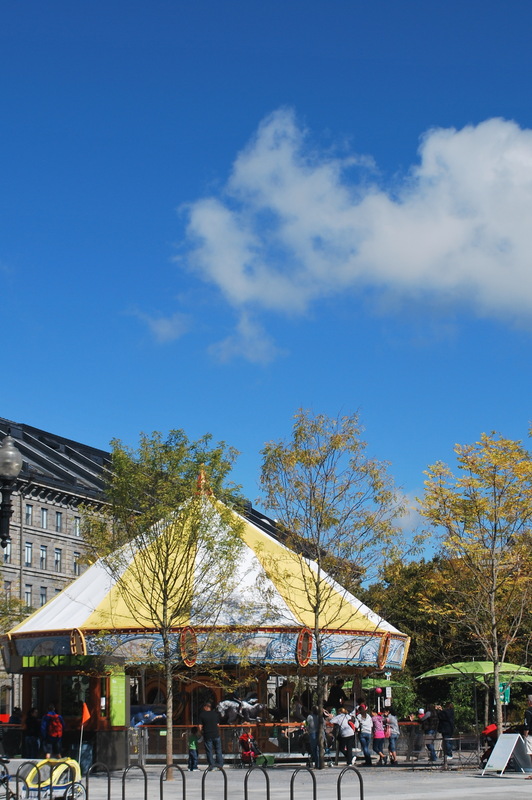 It’s right across from Fanueil Hall on the Rose Kennedy Greenway. The carousel just opened a month ago and I’ve been dying to check it out. 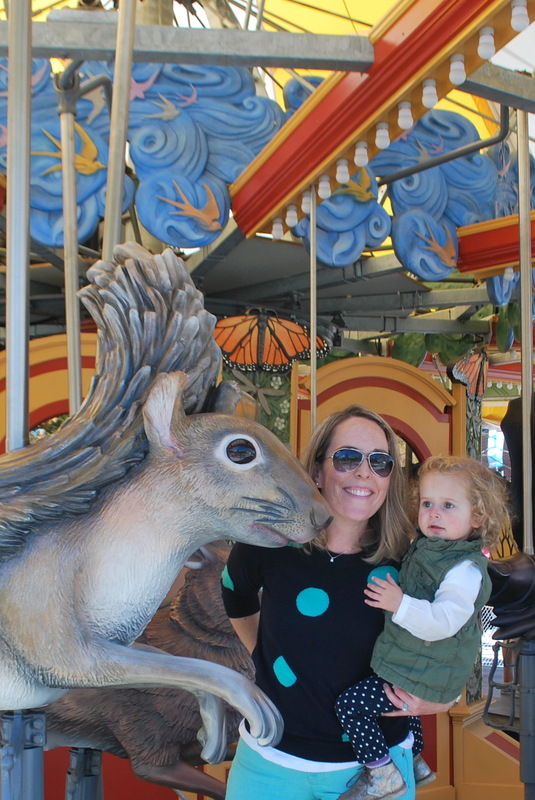 Our Z loves carousels and I thought it would be the perfect fall activity. 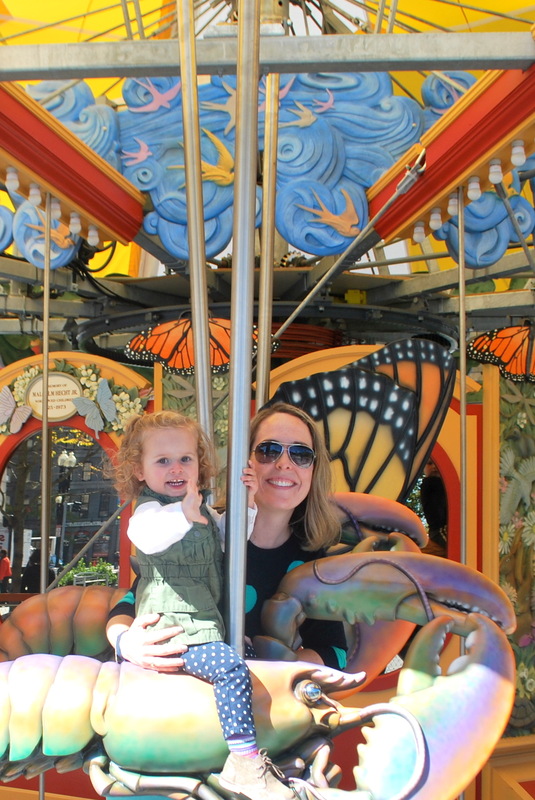 The carousel isn’t made up of your usual ornate horses, rather a bunch of beautifully sculpted animals from a squirrel to a lobster to a butterfly to a grasshopper. Turns out, they asked the children of four area elementary schools to draw what animals they would most like to ride on in a carousel. How cute is that? They took the children’s drawings to a local artist from Newburyport and he sculpted by hand the 36 animals for the carousel. Each ride is $3 and it honestly is one of the shortest carousel rides I’ve ever been on, but fun nonetheless. *Note – the animals don’t have seat belts so if yours is little like mine is, hold on tight! 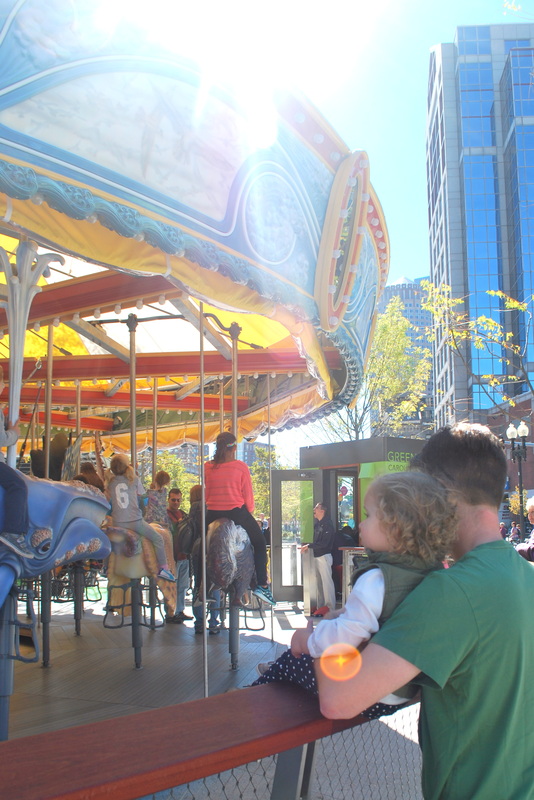 The Greenway Carousel is open daily 11a-9p through Columbus Day and then weekends through New Years Eve. Z looks so stylish in her military vest! I know, it’s so great they got ideas from local kids! That looks like so much fun! Wish I were closer to Boston to check it out….PS, I noticed that you’re working with TOMS (sidebar)- I’m thinking of doing something similar with them as well – my brother in law runs international marketing and is always sending us supplies, so I’m a huge fan of their products. Good luck with it! 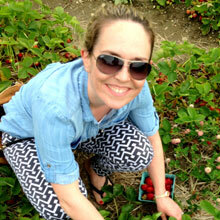 I am an affiliate of TOMS, I totally love their shoes. I haven’t worn the sunglasses yet, but have heard good things. I work right by there and haven’t been yet. No excuses now! You have to go, so fun AND so very Boston. 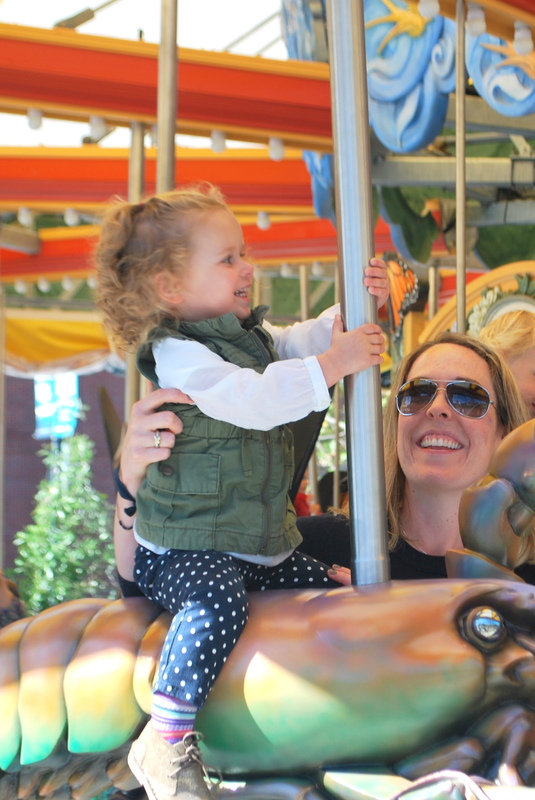 Carousels are the best! Thanks for stopping by! Thanks, we really did have a blast!